This wide, satin-finished ring is contemporary and current. 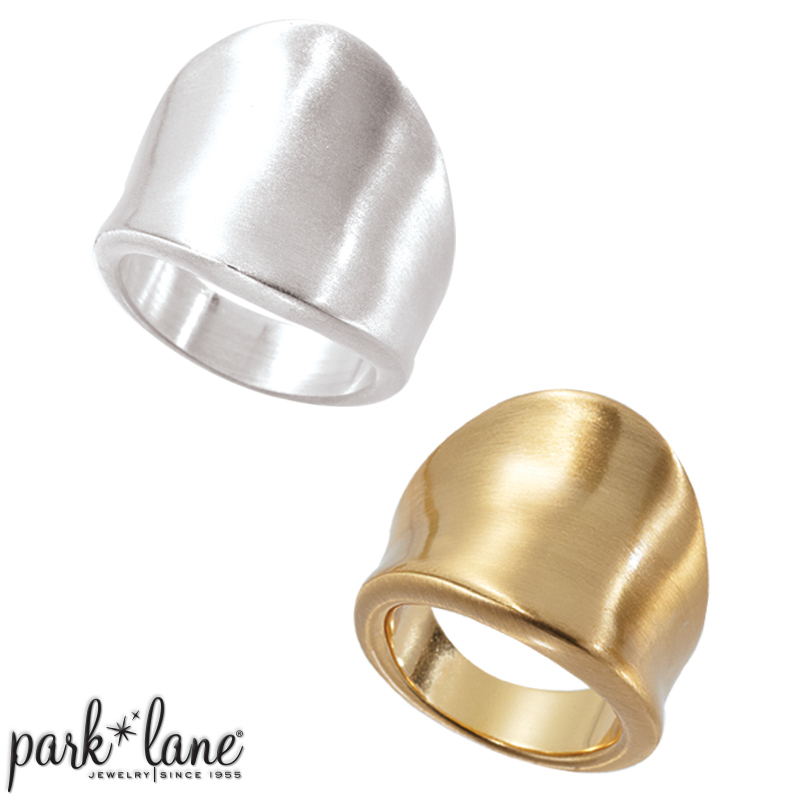 Available in both matte gold and matte silver, choose the perfect go-with-it-all ring... Modern. Modern-gold ring specifically flatters Capri, Donatella, Atlantis, St. Tropez, Santorini, Two-gether-gold, etc. Modern-silver ring specifically flatters these ensembles and more: Halo, Bliss, Shimmer, Classy, etc.